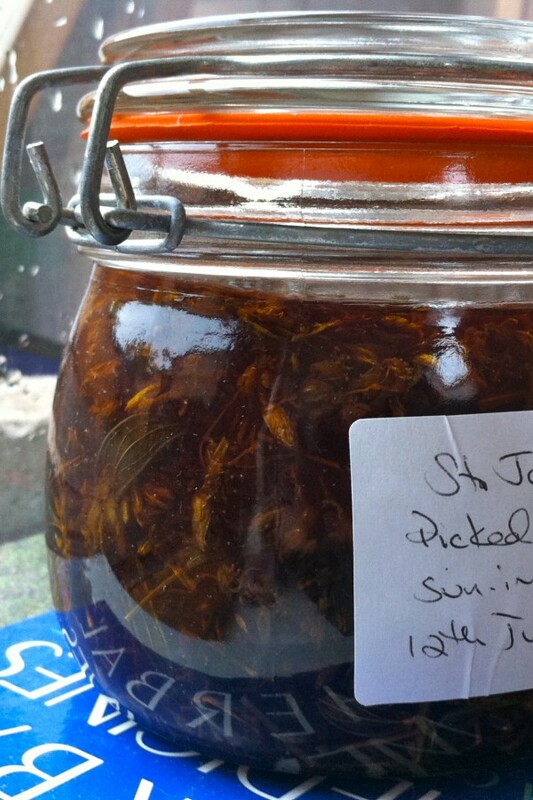 Melanie Shaw - Medical Herbalist » Herbalists to the rescue! Melanie Shaw > Melanie’s Herb Diaries > All about herbs > Herbalists to the rescue! I’m about to join a team of first-aid trained herbalists at a festival in Wales, called the Green Gathering. For the duration of the festival, we’ll be on hand to help with any first aid issues the festival-goers and staff may have. I got my first aid at work certificate last year and I’m looking forward to the opportunity to put it to good use. I’m also looking forward to straining off the St. John’s Wort oil when I get back on Monday, and which the recent sunshine has helped turn a nice red colour!